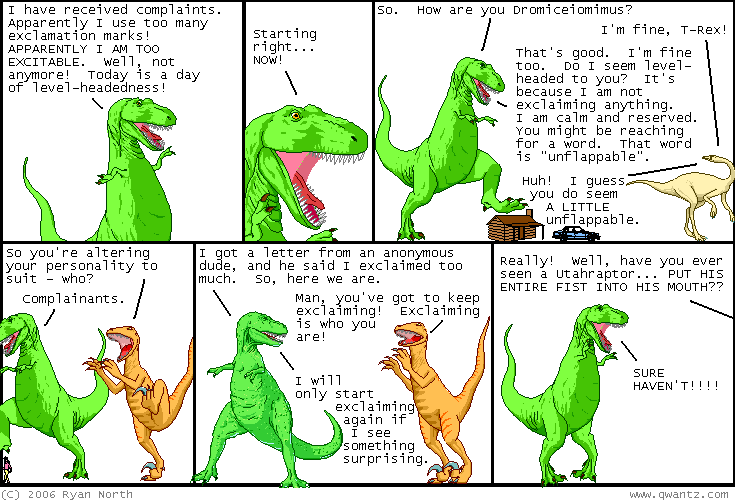 Dinosaur Comics - October 16th, 2006 - awesome fun times! October 16th, 2006: Sweet, let's look at a new comic today! Aman on my forums linked me to Anthony Clark's Nedroid, which is a monthly-updated website with comics and illustrations! The contents are extremely awesome, and I hope you will enjoy my favourites, including Beartato and the Giant Hot Dog, There's Something About These Roses, and Boomerang of Love.